Marrow enriching vocals. Stirring soul-awakening sounds. A Motéma Music debut from Jaimeo Brown, a brilliant 34-year-old drummer, composer and conceptualist. With an intriguing amalgam of modern jazz, Southern black spiritual music, East Indian Carnatic music, blues, and hip-hop/electronica production tactics, Transcendence introduces Brown as a fearless renegade - an artist who seeks new pathways for personal musical expression through honoring a deep and broad lineage of musical and cultural traditions. 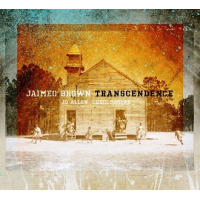 Brown and his cohorts - acclaimed tenor saxophonist JD Allen and GRAMMY®-nominated guitarist and soundscape producer, Chris Sholar - form the nucleus ensemble on this album. The extended line-up includes a rotating cast of notables: pianist Geri Allen; harmonium player: Andrew Shantz; East Indian vocalist: Falu; avant-jazz keyboardist: Kelvin Sholar; Brown's parents, bassist Dartanyan Brown and pianist/flutist, Marcia Miget; Brown's sister, vocalist Marisha Rodriguez; and Brown's 2-year-old daughter, Selah Brown. Brown's philosophy of transforming pain and deliverance into art, and the resulting Transcendence, first took root in 2010 while living in New Jersey, experimentation with various music styles and readings of the Bible. During that time, Brown was listening intently to some music that was superimposed over an Eastern Indian tanpura. The music resonated so heavily with Brown that it sparked a creative fire. Perhaps the most transfixing element on this recording are the featured samples of the celebrated Gee's Bend Quilters, spiritual singers that hail from rural Alabama. Their haunting songs, sung while quilting, were documented in 1941 and 2002 (via Tinwood Media). Their quilts have been featured in museums around the country and their music has inspired compositions by a handful of musicians, most notably pianist Jason Moran's "Blue Blocks" (a commission by the Philadelphia Museum of Art). "The primary purpose of black spiritual music is to build community and provide a medium for healing and worship. This is what I aim to do with my music as well," says Brown. Mean World; Somebody's Knocking; Patience; You Can't Hide; Be Free; Power of God; I Know I've been Changed; I Said; Baby Meish; Accra; You Needn't Mind Me Dying; This World Ain't My Home. 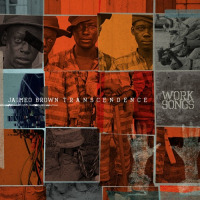 Jaimeo Brown: drums; JD Allen: tenor saxophone; Chris Sholar: guitar, electronics; Gee's Bend Singers: vocals; Geri Allen: piano; Falu: vocals; Dartanyan Brown: bass, additional production; Marcia Miget: flute; Marisha Brown: vocals; Selah Brown: vocals; ; Kelvin Sholar: keyboards, additional production; Andrew Shantz: harmonium.